From Portland, Oregon, A Weather are here for your listening pleasure. The indie-folk unit will release tomorrow, March 2, their forthcoming sophomore album Everyday Balloons, on Team Love Records (the label founded by Conor Oberst/Bright Eyes). “Giant Stairs” is their new single from the upcoming album and the hushed-pop of this track has all of the charm and soft arrangement that made their debut, Cove, so entrancingly great. 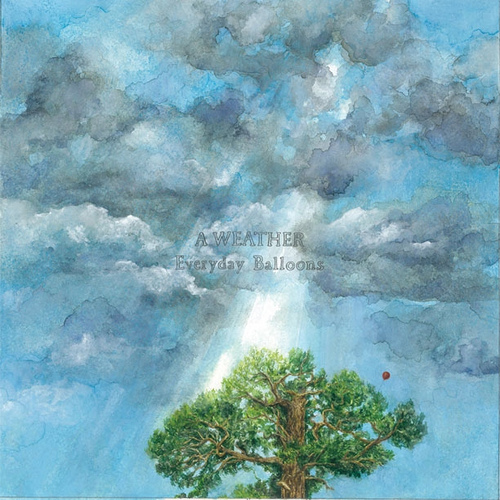 Their new album was once again recorded by engineer Adam Selzer (M. Ward, The Decemberists, Norfolk & Western) at Portland’s Type Foundry Studios, Everyday Balloons is propelled by the restrained yet unmistakable power of A Weather’s songs. This singular quality recalls critical recognition of Cove, of which NPR’s ‘Song of the Day’ observed, “In the band’s hands, a sigh is far more compelling than a scream”, while the album also garnered high praise from Pitchfork (“…A Weather are, quite literally, a quiet storm”) as well as Nylon, Spin.com, Popmatters, and The New York Daily News, among others. Formed in late 2006, A Weather has in their young career already shared stages with artists that include Bright Eyes, Conor Oberst and the Mystic Valley Band, My Brightest Diamond, and Tilly and the Wall. A Weather is: Aaron Gerber (vocals, guitar), Sarah Winchester (vocals, drums), Aaron Krenkel (guitar), and Lou Thomas (bass). Two years after the critically acclaimed Cove (Team Love, 2008), the band has released Everyday Ballons, another collection of scrupulously crafted indie rock songs, rife with intricate vocal and instrumental beauty. It is an album of fleeting moments, words, and sounds, as elevated by glimpses of euphoric unison as it is grounded in studied specificity. 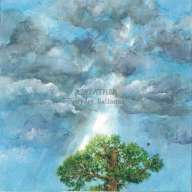 Everday Balloons was recorded throughout the spring and early summer of 2009 at Portland’s Type Foundry studios by master indie folk engineer Adam Selzer (M. Ward, The Decemberists, Norfolk & Western). This is the sound of four people in a room. It is the sound of one person in a basement. This is the sound of the sacred, humble and hushed, and it is the sound of the commonplace, raucous and celebratory. A shift in one’s point of view, a slight change in the light as clouds skirt the edge of the sun, the tree tops skitter against the skyline; grandeur becomes the mundane, and back again. A Weather harnesses the margin. There’s a moon at mid-day, an ice storm. You might never sleep again, or you might sleep for days. You’re as apt to gasp as you are to shrug. You might sink through the bottom of your shoes, or you might float away. Stranger things happen everyday. It’s not the fall that we should be afraid of. It’s the quick stop. It has many names.. this! We had a great one a couple weeks ago at the Artistery here in Portland! The same bed I fall asleep in tonight. Any other place would mean I’d been moved in the middle of the night, which would be a little eerie.